WBSCVT ITI Admission 2017; West Bengal State Council for Vocational training has been appended with WBSCTVESD. A notification for Admission in to ITI of West Bengal for the Session August 2016 has been published recently. Details can be found here. Purchasing of Application Form : 18/02/2016. Last Date to Submit the Form : 21/03/2016. This is to inform all concerned that selling of admission brochure along with OMR application form for admission in different Govt. ITIs/ ITCs/ Jr. Polytechnic for the August- 2016 session, will be starting on 18.02.16 and shall continue for 21.03.16 (Excluding Saturday & Sunday) from all Govt. ITIs/ ITCs/ Jr. Polytechnic and selected Govt. Polytechnics. Application fee is Rs. 150/- (for Kanyashree enrolees fee is Rs.75/-) and will have to be paid by the candidate in cash. All the candidates are requested to read admission brochure carefully before filling up the OMR. How to Take Admission in ITIs, ITCs, Junior Polytechnics of West Bengal ? Apply for ITI Entrance Examination. Download Admit Card & Appear The Examination. Get your Rank Card/Result of Entrance Exam. Participate in Online Counselling/Fill Choice of Colleges (A choice is a combination of Branch/Trade + College Name). You will be Allotted a Seat in ITI College as per your Choice & Rank. 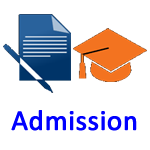 Get Allotment Letter & Get Admitted in Allotted Seat in Colleges. If you do not get any allotment then try in Next Round of Counseling Process. Trade courses are divided under two groups viz. E Group & M Group. Applicant can apply for Admission in any one of the above groups as per his/her eligibility. Applicant’s applying for both the groups will be rejected. For "E" Group - Class Eight Pass Candidates can Apply. For "M" Group - Madhyamik (10th) Pass Candidates can Apply. Candidates previously admitted in any trade (of any Group) of a Govt.ITI/ITC/JP (irrespective of completed the course or discharged from the course) shall not be eligible for admission in that particular Govt.ITI/ITC/JP for consecutive three years from his pass out year. A trainee appeared / Passed out / discharged from any Govt.ITI/ITC/JP shall not be eligible for admission in any other Govt.ITI/ITC/JP for the session starting from August 2016. Applicant should be minimum 14 years of age as on 01.08.2016. There is no upper-age limit. ■ For both M & E-Group Rs. 150/- (Rs. One hundred Fifty only) per application form. For any Board other than West Bengal board , verification Charge of Rs.100/- per applicants. For both M & E- Group should be submitted at the time of admission in the concerned Govt. ITI/ITC/JP. The above said application fee and verification charge shall be paid in cash only. For Kanyashree Enrollee woman candidates, the rate for application fees will be Rs.75/- (Rs. Seventy Five Only) per application form for both “M” & “E” Group of trades. However a supporting document for Kanyashree Enrollee candidates should be produced at time of collection of OMR form as well as a copy of the same should be submitted at the time of submission of the application form along with other mandatory document. Entrance Test Admit Card may be available form end of April 2016. You may assume that ITI CEE (Common entrance Test) for both Groups will be commencing in the month May, 2016. Common Entrance Examination for both of the groups (‘M’ & ‘E’) will be held on the same date and time. Result of ITI OMR Based Entrance Examination will be available in the month May, 2016. The choice filling for counseling process will be held in online basis and will be started tentatively from 06th July 2015 to 12th July 2015 04:00 PM. After preparation of state wide Merit List, an SMS will be send to the candidate’s mobile number and email id as provided in the application form containing user ID and password for log in to the portal www.wbscvt.net. For participating in the choice filling for online counseling candidates have to pay counseling fees @ Rs 200/- (@Rs.100/- for Kanyashree Enrollees) in cash for getting e-cash coupons available at all respective Help Desks. After login to the web portal www.wbscvt.net using above mentioned user ID and Password the applicants have to enter the e-cash coupon number to participate in the choice filling for on line counseling. One Applicant can provide his/her choice of trades and Institutes based on availability of seats in that particular institutes. Auto upgradation of seats allocation will be available. Auto upgradation norms and process will be available in the www.wbscvt.net . The last date of choice filling for online counseling is 12th July 2015 up to 04:00 pm. On getting trade confirmation slips applicant should report to respective Govt. ITI/ITC/JPs for provisional admission within stipulated time. In case the candidate did not take admission within the schedule period his or her allotted seat will automatically be cancelled. Admission once taken in any trade of any Govt. ITI/ITC/JP can't be changed/ modified or cancelled.. All the original certificates and testimonials for entry qualification along-with a set of self attested copies, Admit card of Entrance test, the copy of merit rank and seat confirmation sleep need to be produced at the time of admission. All necessary fees should be paid mandatorily at the time of admission. Following fees for 1 semester (6 months) to be paid by the candidates at the time of admission at the concerned Govt. ITI/ITC/JP. Rest of the fees need to be paid by the student at the beginning of every semester. 0 Comment to " West Bengal ITI Admission 2016 - wbscvt.net "